I don't do printmaking often (mostly because I don't have a press, or access to one) but occasionally I'll get the urge to do a little linoleum printing because a wooden spoon is almost as good as a press for this process. Sort of. This first image is the digital sketch that I used to transfer onto the blocks. 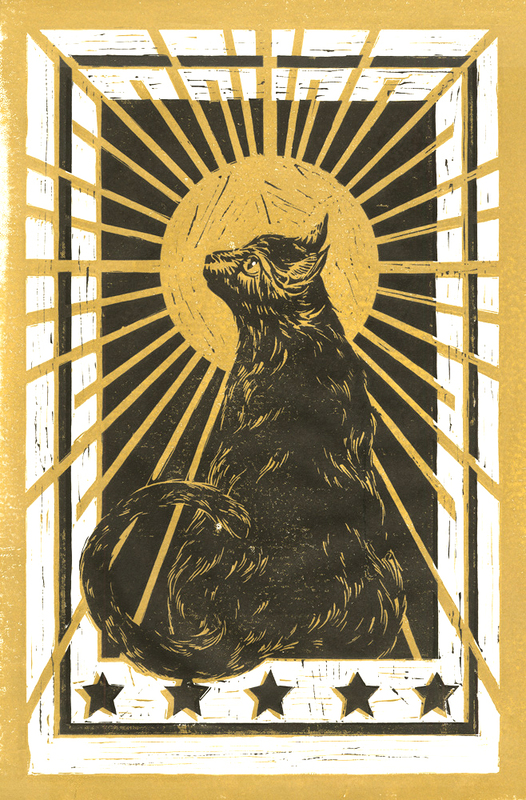 And here we have the finished print in black and metallic gold. My only regret is that it's nigh impossible to digitally capture the glitter in it.